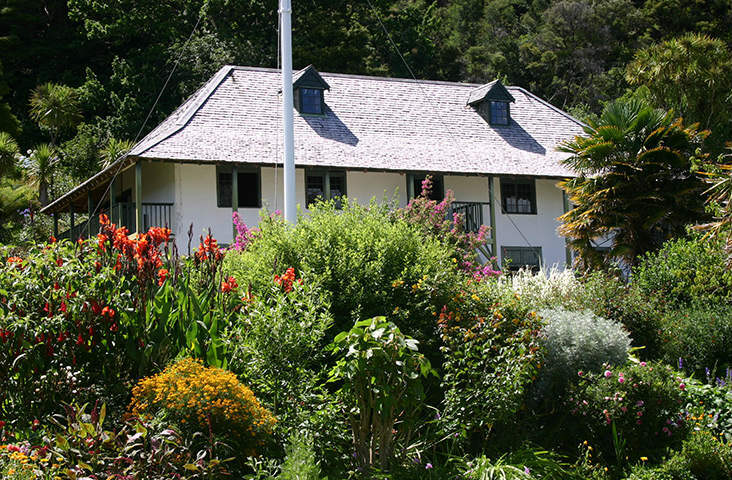 Just five minutes walk from the wharf at Russell, this French-style printery and tannery offers a great experience of Māori and Paheka history, glorious gardens, and some hands-on fun. Formerly known as Kororareka and the ‘hell-hole of the Pacific’ for its drunken and raucous behavior, it was against this colourful backdrop that a group of French Marist Brothers arrived to set up a Catholic Mission in the settlement. Built in 1842, Pompallier Mission housed a printery where church texts were translated from Latin to te reo Māori, then printed and bound. Today the printery is New Zealand’s oldest industrial building, distinctly French in style. 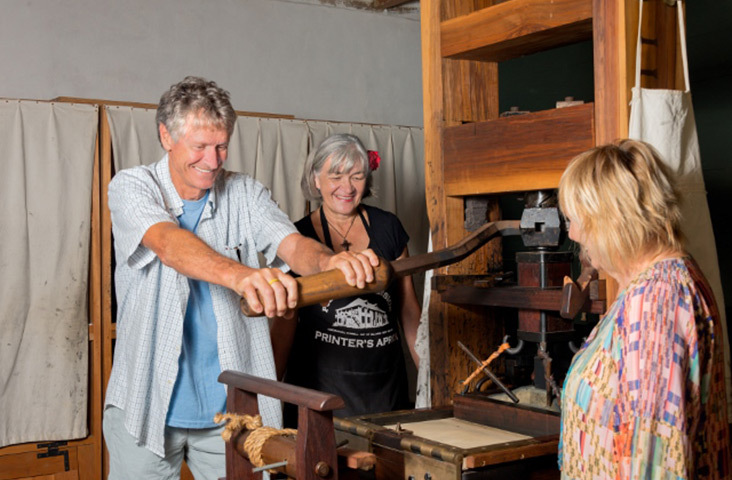 Pompallier Mission offers one of New Zealand’s most enjoyable heritage tours. Fully restored to working order, there are opportunities to experience hands-on the printery and tannery equipment. Enjoy our guided tours, browse in the gift shop and relax with views over the garden and the bay. Guided tours includes printery and garden $10 adults, $7 tertiary students, accompanied school-age children free. 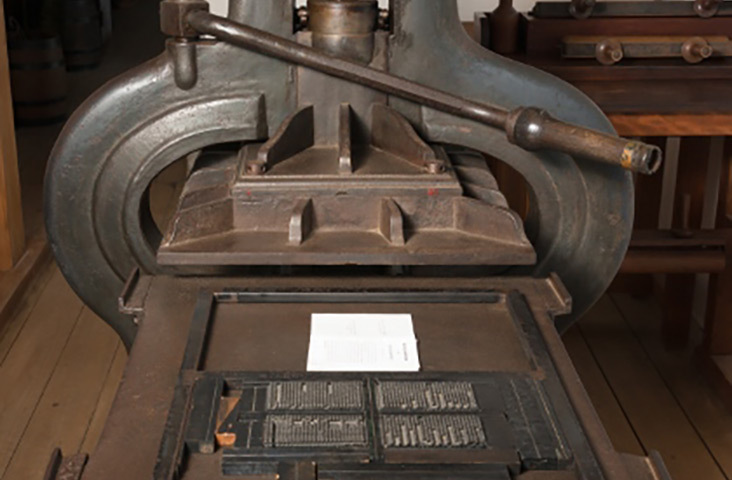 Access to the printery is by guided tour only to help preserve this precious building. Please understand that surcharges may apply at times of special events.